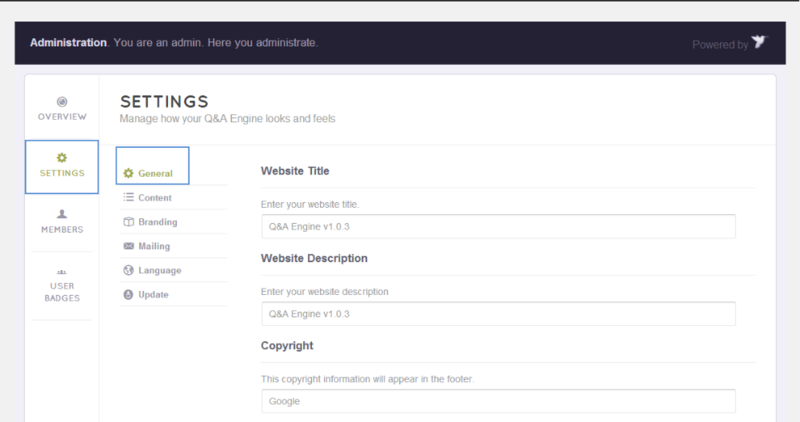 You can set up the main information for your site in two tabs: General and Branding. Choose Engine settings >Settings and you can see them. In these two tabs, you can insert the Website title, description and upload the logos. You can come back later once complete all the main settings. - Website title: insert title for your website. - Website description: This will appear next to your logo in header. - Copy right: This will appear in the footer. - Google analytics script: This is a service offered by Google that generates detailed statistics of the visits made to your site. - Email confirmation: If you enable this function, users have to confirm their email addresses to complete their registration. 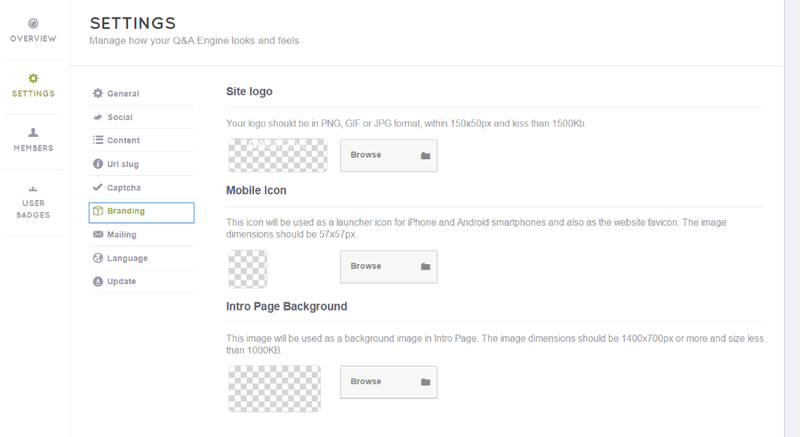 This section allows you to edit your logos for desktop and mobile versions. - png, gif or jpg format. - Less than 1500kb image file size. - 1400x700px image size or more.